This is my proposal for the windows at the entrance of the Portsmouth church. This is my proposal for the colored stained glass in the Sanctuary of the new R.C. church in Portsmouth. 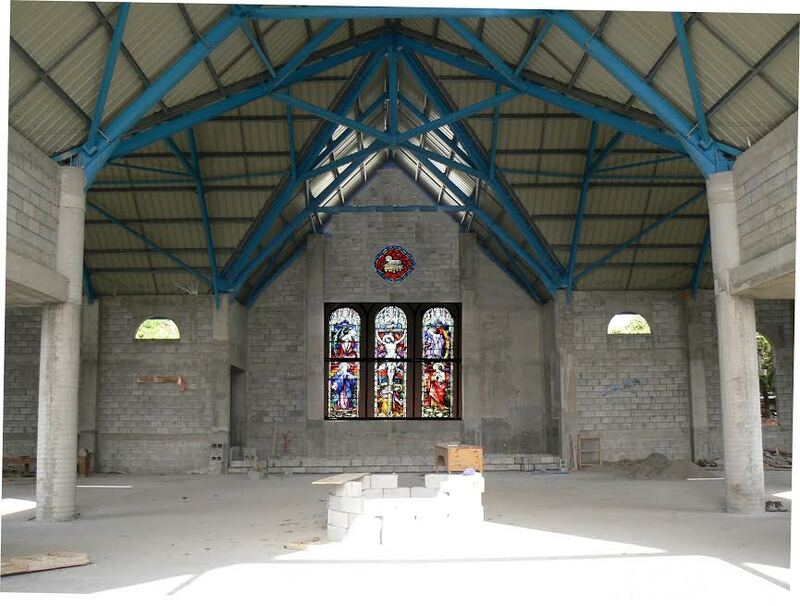 This entry was posted in buildings in progress, design by Bernard Lauwyck, NEW CHAPELS or CHURCHES, NEW PORTSMOUTH CHURCH, PORTSMOUTH CHURCH, stained glass and tagged Portsmouth church in Dominica on September 15, 2016 by Bernard Lauwyck. This entry was posted in buildings in progress, design by Bernard Lauwyck, NEW PORTSMOUTH CHURCH, PORTSMOUTH CHURCH and tagged Dominica churches, Portsmouth church in Dominica on September 7, 2016 by Bernard Lauwyck.